“Will I ever find love?” is a question I get asked every day from people you would never in a million years guess they’d have any issue finding true love. These are people who have built incredible lives for themselves. They’re successful, have amazing friendships, and are ready to find the kind of love that makes all the heartbreak of the past seem worth it, instead of validating their fears on a daily basis. With permission of the other party, I am including personal text messages of mine in this post because I will stop at nothing to help. I know this feeling of hopelessness all too well. Whether you’re asking yourself “will I ever find love?” or “will I ever find love again?” feeling out of the loop is never fun. You go on social media and it’s always another happy family photo, an engagement announcement, romantic trip, baby announcement, your ex appearing to be a better person with a better person or another wedding that populates your feed (or if you’re stalking, your recent search list). How did love seem to forget about you? Why does everyone else, who isn’t even a fraction as deserving and aware, get the happy ending that you want more than anything? And because you’ve built a great life for yourself and have your sh*t together, it’s even more baffling. Deep down, you know you’re a catch but you can only subscribe to that belief for so long before you start to question your worth, the point of life, and surrender to your solitude. You then begin to doubt your own standards. Friends and family tell you that you’re too picky. Maybe you are, but you’d rather be alone than settle. Everything around you seems to affirm the impossibility of finding a loving relationship with an emotionally available partner who you actually connect with and are attracted to. 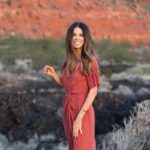 There isn’t some magic formula or answer to “will I ever find love?” For me, it took shifting my mindset and identifying the mistakes I was making more than it ever took implementing any kind of rule or technique. I didn’t feel like true love should have to come at the expense of my self-love. No one wants to have to play games and withhold their own emotional abundance to momentarily attract it in a partner just because they are consciously limiting the supply. If you’re trying to fish in a puddle, you’re never going to find anything other than bacteria and filth – No matter how much you believe that your skill and fine equipment will attract a whale. Whales don’t reside in puddles and puddles are so shallow, they don’t require fishing equipment. It’s time to figure out why you’re in the puddle and get you back out to the coast. “Will I Ever Find Love?” Mistake #1: Thinking that you’re one of the chimps. A few weeks ago, my best friend was at the Smithsonian (these are our exact texts. They are personal, unedited, and I apologize for any incorrectness grammatically or politically. My intention is always to be real and help). This friend of mine is one of the most interesting, empathetic, successful, wise, and talented people I have ever or will ever know. He is the kind of person who makes you want to be better just by being who he is. I don’t have many close friends but the ones that I have, I am in awe of. Bottom line: You are pure fire. If you weren’t, you wouldn’t still be reading and connecting to this. You’d be congregating with the chimps in a game of follow the follower. Give yourself the time to get to know someone. Don’t let your insecurities fire-label others. That’s a title that they’ll earn through there actions (that match their words). Just like there’s so much more sand than there will ever be pearls, there are many, many more chimps than there will ever be fire. This is why they all needed to huddle around it. If you’re wondering “will I ever find love?” remember that your fire will never be acknowledged and appreciated in the way you deserve until you have the courage to reignite and acknowledge it within. “Will I Ever Find Love?” Mistake #2: Searching, shopping, and hunting. Stop trying to “get” love and search for it as if it’s something that can be acquired in that kind of way. Love is not a commodity – It should not have to be persuaded to get something, to give, or to be honest. Similarly, love is not something that you can expect a return on. It has to be shown. If you think about love as something that has to be found, it will make it that much harder to find and that much more dramatic/impossible to keep. The key here is to understand that true love cannot be found – It can only be made. You have to make sure your toleration for bullsh*t is low and your standards are high. What you have to find is not love. You have to find a person who is capable and worthy to make it happen with. I never stopped loving, I simply started to love in a smarter way. I started to love people by putting myself in their shoes and realizing that they needed love. I stopped outsourcing my empathy and love to those who were not only unworthy but that I relied upon to change who they were (a f*cktard) so that I could feel worthy. “Will I Ever Find Love?” Mistake #3: Allowing yourself to be used. Confidence and self-love are the most attractive qualities. The secret to attracting true love is to truly love yourself. You can’t love yourself and simultaneously allow others to doormat you. So how do you go from doormat to in-demand? Always listen to people’s actions over their words. Believe more in who someone has unfolded to be and who they are right now, in this moment, than you believe their apologies. Understand that you can forgive someone without wanting to reconnect and rebuild a relationship with them. Forgiveness is nothing more than adjusting your boundaries in light of accepting how someone has unfolded. Fall in love with what’s consistently in your atmosphere. It’s so.much.hotter than ovulating over potential. Know your worth. Don’t ever look for others to see in you what you can’t see in yourself. You will lose every time. If you don’t know your worth, remember that the only way you will ever figure it out is by implementing boundaries. Have your own back enough times and you’ll be more protective of that self-made empowerment than you will ever be thirsty for f*cktard approval. Remember, the fire doesn’t need to do anything to get the chimps around it. It just is. The only ones who will ever appreciate your fire on the level you deserve – They have that same fire within them too. And you won’t have to turn yourself into an FBI agent to find it. I agree completely. 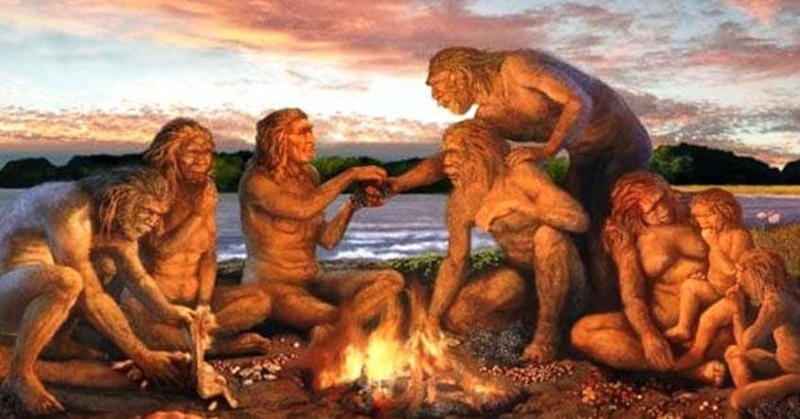 This tribe has become a safe haven for me to return to as well! Love and light to you! I love this Natasha!! Reading it over my lunch break. I’m trying to keep my fire roaring. As we know with the recent horrific Californian fires, strong fire spreads quickly and leaves nothing untouched. I hope the fire in my belly and heart spread and touch people but with love and empathy. As usual, your posts are ALWAYS at the right moment. I literally was beginning to doubt myself and my standards, it really will make you feel as though you are losing your mind. When you know exactly what you want and what you have to offer yet you cant find anyone to finally give it to. Your posts helped me to reinstate my belief in myself and gave me hope not to give up on finding a true love but just the puddle I have been fishing in. Thank you so much! I owe my life to you. When I started reading PMS, I didn’t want to live and now I have hope for my future and belief in myself. This is my favorite of all your posts. Thank you for being so vulnerable and using your pain to help us out of our own. Ps. Is your best friend single? ☺️???? And yes 🙂 he is! Yesterday I had a session with my therapist and I told her, “I lost my fire trying to keep someone else warm” and she had said that she wanted me to think about early Native Americans how they always had a set of hot coals with them. 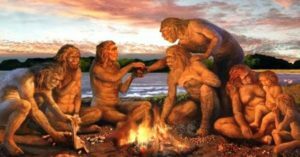 It was a reserve of these coals that they always had for themselves and they knew that they could easily start a fire to get warmth, cook food, etc. “Brieana, you need to keep a reserve of those coals for you, always.” When I was with my ex, I can remember the exact moment that I lost my fire and everything shifted. At the time, I didn’t think he was a part of the extinguishing and that it was all on me. My fire was what attracted my ex to me but he was a big reason that it got snuffed out (factor in a loss of boundaries and self love). BOTTOM LINE- Always keep some coals to yourself and be with someone who helps build your flames NOT someone who takes your warmth for their selfish needs without adding any fuel to keep the fire burning. Much love and light to you! I love your blog Natasha! This post actually made me tear up since it was everything I needed to hear right now. So grateful for your fire Natasha and this tribe. This fall has been especially difficult for me for a lot of reasons and I’ve ended up losing sight of my own fire and worth and letting myself being used by f*cktards. Thank you so much for reminding me of my own fire and that I have to truly love myself if I want to attract true love. I am so happy that the post helped <3 It was therapeutic for me to write too 🙂 I am just as grateful for you too my soul sis.
? You have to make sure your toleration for bullsh*t is low and your standards are high. ?Always listen to people’s actions over their words. ?Know your worth. Don’t ever look for others to see in your what you can’t see in yourself. You will lose every time. ?The only ones who will ever appreciate your fire on the level you deserve – They have that same fire within them too. I love the fires LOL! I wish I had emojis right now but I am on my computer. Words to live by my dear Natasha …. I really loved this whole post, but this paragraph really hit home for me. Thank you again for your vulnerability and honesty. I am a better “me” today because of this blog. I carry these lessons with me whenever I need reminding of how far I have come and how much more I still need to grow. You are an inspiration … truly! I will never be able to fully express just how much your love, comments, and your DM meant to me Vicki. Never. ???. I can’t wait!! ?? That is my wish … to be able to meet you all and give you the biggest hugs in person. We need to make that happen in the near future!! You already know how much you mean to me and how much these posts have shifted the way I see myself now. Thank you will never be enough. My cup runneth over sister. This was a very amazing post but they all are?. I will say that I ask myself so many times the very things you speak of. Today, I see clearly. I have so much bad luck and disappointment with every relationship I have had. I keep thinking it is me. I am not perfect but I love with my whole heart and that creates a fire and it is possible the men I have been involved with either don’t want the fire or our fire together does not work. I think it’s mostly they are not mature enough or as I experienced last time around they are too self centered and emotionally bankrupt to follow through. In the end it is painful when the fire goes out and you are left in the cold. I could not agree with Lorelle more in the important points. AMEN! I am still a work in progress bu I know that without this place you have created full of empathy and commonality I would not have learned anything at all. Thank you. Everyone here gives of themselves and it is beautiful. As the holidays approach, which I dread, I am THANKFUL for you and the way you share and teach and show your vulnerability to help us all. I am thankful for you and to everyone who shares because it helps. It makes the pain and the process of trying to figure myself out easier. I love you and I wish you and the tribe a wonderful holiday. Be well. ????? Thank YOU from the bottom of my heart <3 You having the courage to share your experiences, pain, and vulnerability here has helped so many feel less alone and understood. Don't worry – None of us are alone on the holidays because we have each other, always. I am just as grateful for you too sister. Linda – you and I have shared so much on this blog this past year and I have so much love and respect for you my friend. I can feel in your words that you are much stronger now than you were back then … both of us are. This blog has saved me many times from falling off my white horse and you my dear were a just as big a part of that as our beautiful Natasha. Not enough words to express how thankful I am for this place Natasha has created for all of us. We are never alone here… EVER. I wish you well my friend and I hope you have a peaceful and blessed holiday. Vicki!!!! I’m so thankful to have met you here. We have both shared so much and you have been a very big part of my growth. I am still a work in progress and I still carry pain but I have learned a lot about myself as you have also I’m sure. Thank you for all your support and kind words. I think it’s so amazing that we have all never met but we all share such a common thread. It’s truly a gift. I know I am not alone. I wish you so much peace and love and all good things. I really hope a day comes when we can meet. You keep your head up and I a, always here to talk to. Enjoy your holiday. Thank you my sister. I am so touched. You have helped me so much. I have come a way from where we started. I still struggle but I have grown even when I did not want to. I so appreciate your kind words and confidence in me. It helped me so much. I find it so amazing that I have not met you but we share such a common thread. It is such a gift to me. I do not feel alone but even when I do I know I can come here and feel ok. My respect for you is equally as high. I think you are fantastic and have much to give. You stay with n your horse and keep your head high. It s very hard some days but look at all that is behind you. I’m always here to listen and share. I wish you all good things and I’m grateful for you and all the time you have taken to help me. Thank you for giving of yourself even when you felt low. I wish you all good things and nothing but blessings. Talk soon. Love you sister. ????? Linda – I’m not going anywhere my friend… :). I will be here and help in any small way I can. Thank you for the beautiful words. We have each others backs and this place that Natasha has created will forever be my home to come back whenever I feel lost or just want to check in and see how everyone is doing. I am so glad I have had the chance to get to speak with you and so many others on here who have shared their stories. I wish I could hug every one and tell them it’s going to be okay, but each of us is different and the healing takes time. I think sometimes the pain stays with us, not to make us afraid to move forward or feel sad, but to remind us that we MUST put ourselves and our own well being first and not put up with anyones b.s. or red flags when we see them and save us from having to go thru this again. love and peace my sister. be well and have a wonderful thanksgiving. I am now nearly a year round from my break up and have finally been able to move out from the house I shared with my ex so my recovery can truly start to kick in. It was a real wrench to leave the home I adored and had been so excited to buy and make special and even more gut wrenching that he gets to keep it after everything he’s done. So when I was having a glum moment, your new post popped up in my emails and saved me yet again from spinning out of control. It’s almost like you have some special sense that people need your guidance and support and bang, you provide us all with your inspiring and motivating words. I am far from wanting anyone else in my life at the moment but this post gives me the hope and belief that once I have found me, then love may do the same. You are a complete life saver and this is the only place I come to for reassurance and support 24/7. I hope your book is out soon as I am sure I will carry it with me everywhere! Happy that the post helped 🙂 You are so loved, supported, and believed in Helen. Thank you! I wish it took as long to write and publish a book as it does to read one, but you will know right away when it's available for order. I wish that I could put into words just how appreciative and grateful I am for your sisterhood, love, and support. It means everything to me. Thank you Natasha! I continue to struggle with feelings of worthlessness and inadequacy, particularly after the man I was dating for months decided to move on with someone else but also continue to communicate with me and tell me that he still has strong feelings for me. I feel shame and disappointment for having allowed one man to have tarnished my self-esteem—something I’ve struggled since I was a young girl. Your blog posts are very uplifting. Thank you again. You are not alone in this (or ever) <3 Let those very human and normal feelings of shame, disappointment, inadequacy, and even anger, fuel you to not only help others out of the same but to uphold your boundaries, have your own back and remain on your white horse. OMG! THISSSSSS!! The 100% accuracy you’ve just mentioned, Natasha. Not only it hits home, but straight to my fabulous bedroom. As an Asian, at my age, the society including my parents now start to bother me with marriage question all the time. Telling me how my “stubbornness” will bit me back when I’m older, to instil belief that I could only achieve financial freedom when I’m married especially when at this moment I’m a bit struggling in that aspect. Sometime, I have this urge to go somewhere where nobody knows me and starting a new life. I’ve deleted all the apps yesterday since most of the guys I’ve met are emotionally unavailable, some of them only interested with ONS instead of building a healthy relationship, red flag everywhere, and even when I’ve pleasure to meet wonderful guy in there, we have a different set of core values which isn’t workable, and reading this post for the first time today after acting upon it, especially in Mistake #2, is very uplifting,readgasm & euphoric. Thank you so much for this. I’ve learned,applied,and benefited a lot from many of your posts. Always love your posts. Do you have advice for middle aged women who have been divorced?